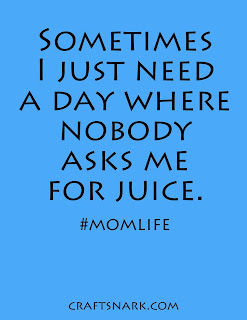 Craft Snark: No juice for you! A couple times a year I travel for business, leaving my two kids in the care of family. Sometimes that means my husband takes a few days off from work, and sometimes my mom or MIL watch the littles for me. Though I absolutely miss my family while I'm away, having adult conversations, and not being responsible for anyone but myself is a nice change of pace. 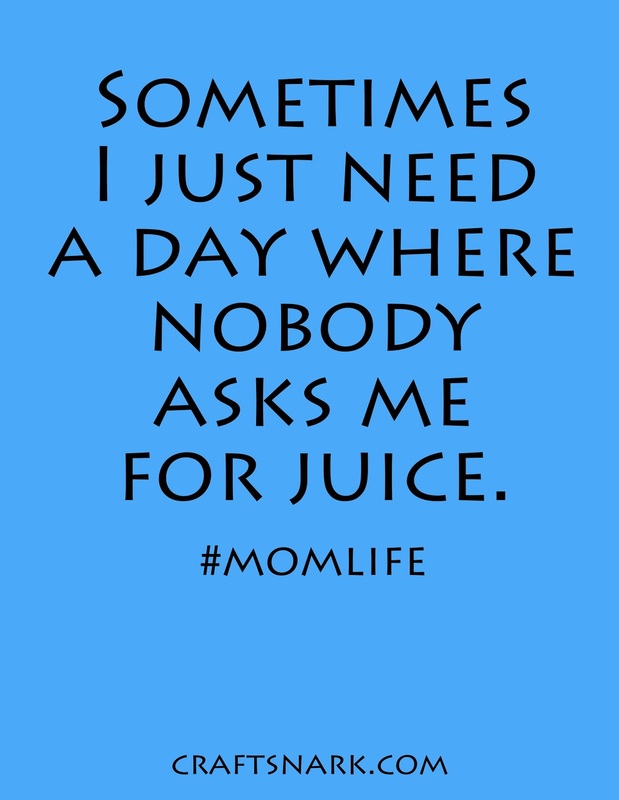 And there is the added benefit of not having anyone ask me for juice.